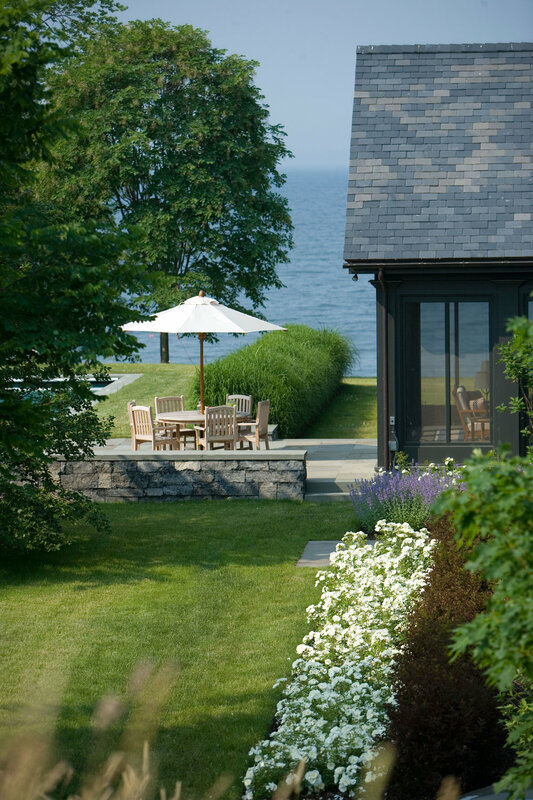 This home, constructed by Birdseye Building with Landscape Architectural design by H. Keith Wagner Partnership, won a Merit Award from The Vermont Chapter of the American Society of Landscape Architects in 2007. Colby Hill Landscape Company was involved with the selection and planting of the shrubs and perennials. We continue with the ongoing care of these gardens today.